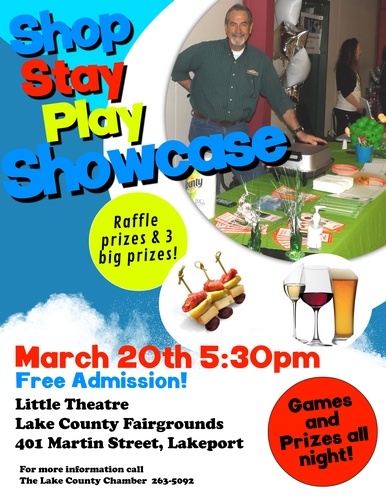 Come check out our Shop Stay & Play Showcase!! We will have prizes & raffle prizes being given out ALL NIGHT!!! It will be held at the Fairgrounds Little Theatre. You will get to meet new businesses in the area as they showcase their products and services. There will be appetizers, a no-host bar, a live DJ, a raffle and lots of fun! Come support your local business community!